What is this? Metal? Sure, but how and what do I classify it? Krakow combines a few eclectic styles to overtake metal and spin it into a unique sound—something that takes time to digest. It has distorted guitars, yes, rough vocals, yes, screaming, yes. When metal stops being so self-conscious hiding in a mask of distortion, dials it back 30 percent, it can show us the new life nursing beneath its bosom. Almost like the distortion is a fiery furnace burning down the organic material inside into a fuzzy black mess, and within the reduced heat a new kind of condescension of sweat and tears nourishes the blackened soil for the greenest plants to greedily take root, and (I suspect) dominate metal. From our point of view—those of 'good taste'—we will look back and think of every improvement as one step closer to this kind of freedom. But from the point of view of the artists a great deal of selection was likely needed. Long arduous hours of practice was necessary to master their instruments, to listen to the right music, to love the right songs, to free oneself and give permission to create badly so something good comes forth—and to reduce, reduce, reduce: kill off the unhealthy children. All this stems from the support of the idea, the vision, the tyrannical need to create something unique, new, contributive, self-overcoming, soul creating: improvement for improvements sake. If influences are collected correctly and the craft is mastered, enough childlike creation is employed like open boarders, then the artist-as-tyrant chips away at each body to match his vision, molding it, forcing it, burning it a little, so what comes from the flames is iron clad, and strong enough to survive our judgment. Far from the lofty and beautiful point of view of the enjoyer, the artist must ‘tyrannize’ themselves and their music for the kind of airy freedom we enjoy as harsh listeners. So why all this mystically dramatic music, serious and bleak? Well the rhetoric in the past 500 odd years (since the Christian protestant reformation) further separated our worldly reality from spiritual intuition. Since then our soul took wings and flew away. Alongside religion’s degeneration, gaining clout, was our cold faith in consciousness and it’s insatiable existential insecurity. Since all empirical science was chained to theology, our tyrannical consciousness remained restrained until philosophy freed us from religion. An alternative view to morality dawned with its roots in rationality. And with that last chop our spirit flew away. What ensued for the next 230 odd years was consciousness’s cold reign of power. While the deeper sections of the psyche clung to our more ingrained religious needs, often exchanging one ‘religion’ for another, and often times grasping for Asiatic faiths, the theoretical human was left to both deny our animality and chop away at what remained of our spirituality. Enter Carl Jung in the early 20th century and his suggestion to ‘stoutly to avow our spiritual poverty, our symbol-lessness, in stead of feigning a legacy to which we are not the legitimate heirs at all.’ He suggests following ‘the unruliness of the passions’, for ‘[a]nyone who follows this horse comes into the desert, into a wild land remote from men—an image of spiritual and moral isolation. But here lie the keys of paradise.’ Here’s where Krakow picks up the ball and runs, as if humanity were a “Black Wandering Sun” barreling down a path of arrested development at the beckon of tidal forces not thought of as all knowing gods, but the push and pull of kings and serfs. At the sociological level “Sirens” sound warning destruction, and at the psychological level “The Stranger” (our Jungian shadow) grows menacingly tall, threatening to act out all it’s nefarious desires and actualize that very destruction. It seems Krakow has listened to Jung, for their sybilism follows suit as half psychoanalysis, and half prophetic warning. Ultimately they believe in the ‘heavy steps / deep tracks / timeless words’ that layer the fields of time, and take on the ‘scales of mountains’ as much as they admit our spiritual stagnation. They also believe we need to ‘write our tomb’ new in the voice of a skald (a Nordic poet, with etymological roots in the Proto-Germanic word skalliz, meaning ‘sound’, ‘voice’, and ‘shout’). My only criticism is their weighty music invariably plays the part of a sick priest. If we dig even further, this appearance can only be evidence of a further flying away of life, with weakness in brooding resentment, and jealousy for health and power. Nevertheless, their message takes the most life-denying attributes and attacks precisely them, while simultaneously preaching a new beginning for humanity, a new tome based on the noble role of Norse skalds turned psychological. This might be why their brand of ‘metal’ sounds markedly tuned down and softer than most traditionally metal bands. Inevitably it might not be bold enough to convince some of the more close-minded tastes roaming among the musical elites. Sonic poetry, destined to go unnoticed by the flippant being bred today—but all the better for those that seek, for they get to know closer what possession feels like, sidestepping creation itself. But aren’t its creator’s strong enough to possess their music? Are they not conduits, and mouthpieces for the unloaded spirit of their music? They definitively put the work in it, but do they lay claim to it? Do they own it? No. They put up the walls and released the sound to flow around them, but they don’t own it; just guide its existence for their own purpose, that of new life. There’s claustrophobia, air, clean air, dirty mud, deep digging and high soaring, clarity and muddiness, length and brevity. 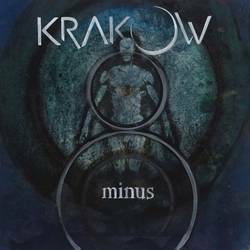 Krakow wastes no time getting started and doesn’t pussyfoot around showing us exactly what they want: to make us listen and float. 8.0 / 10 — Robert F.
Posted Nov. 26, 2018, 9:25 p.m.